So you’ve decided to become a diver and start exploring the other 70% of the world? Congratulations! There’s no better place to get your dive certification than on Bonaire. 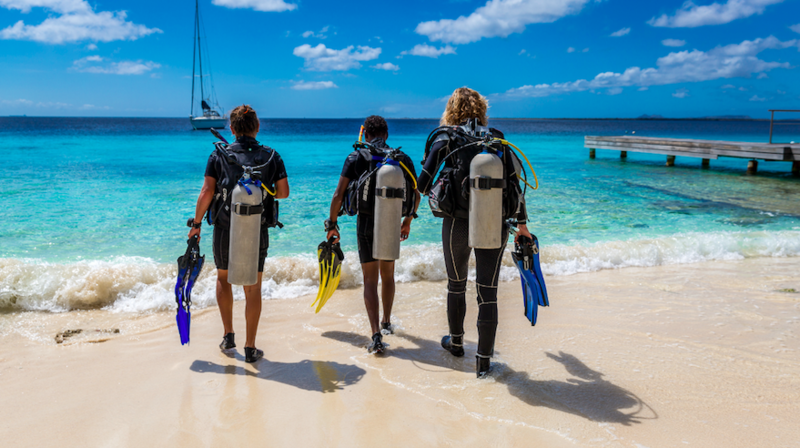 With Bonaire’s top notch schools and instructors, shallow reefs and calm, clear waters, you’ll find that scuba diving certification on Bonaire is the perfect way to start your journey – all while enjoying a great vacation with world-class diving. 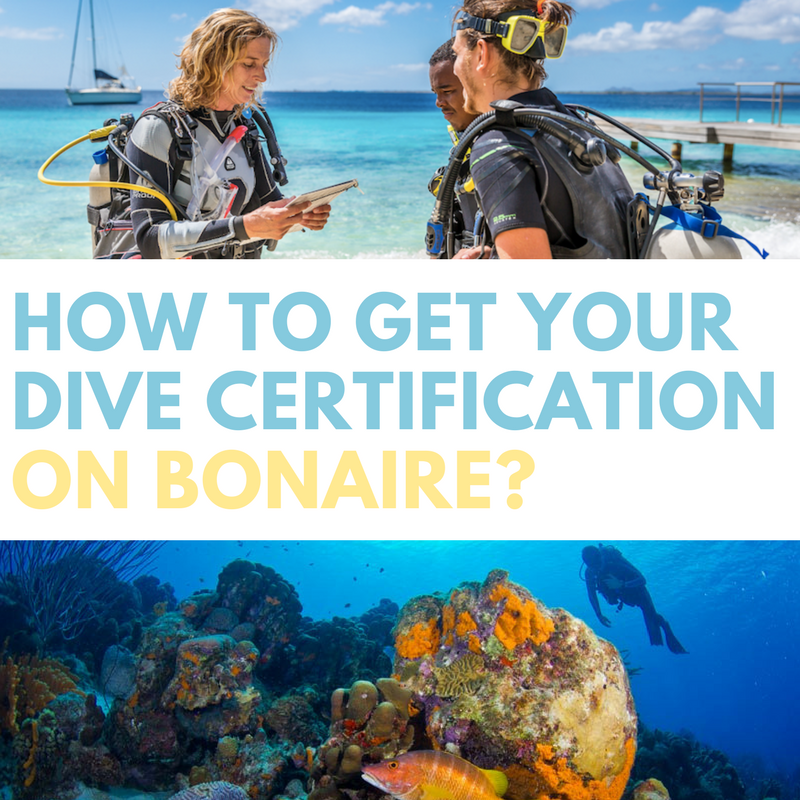 There are three ways to get your basic open water certification on Bonaire. To fully understand each option we’ll start with a short introduction on the PADI Open Water Diver Course. The course consists of three parts: theory, confined water dives and open water dives. Theory: The five chapters of theory help you understand the basic principles of scuba diving. This is reviewed in a final test in which you must score 75% or higher. Don’t worry – if you fail, you can retake the test. Confined water dives: this can either be done in a pool or in shallow protected water in the ocean. These dives are mainly focused on learning the necessary scuba skills and signals with your instructor. 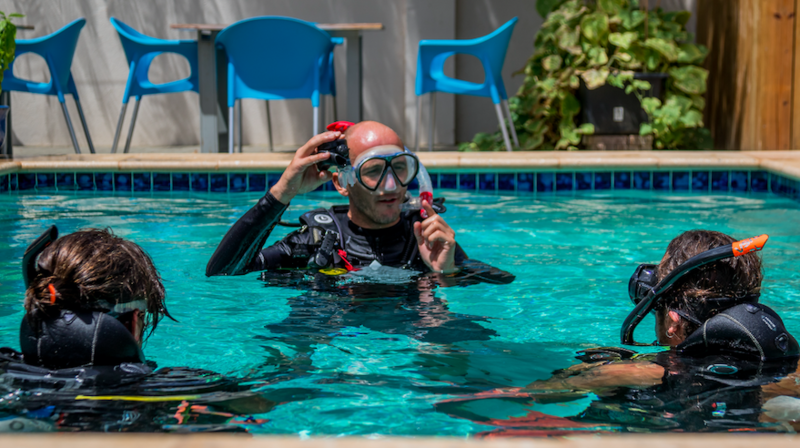 Open water dives: during the open water dives (which take place in the ocean) you will need to demonstrate the skills you learned during the confined water portion. But there is also time to enjoy the marine life, explore your new world and truly get used to the feeling of ‘scuba diving’. 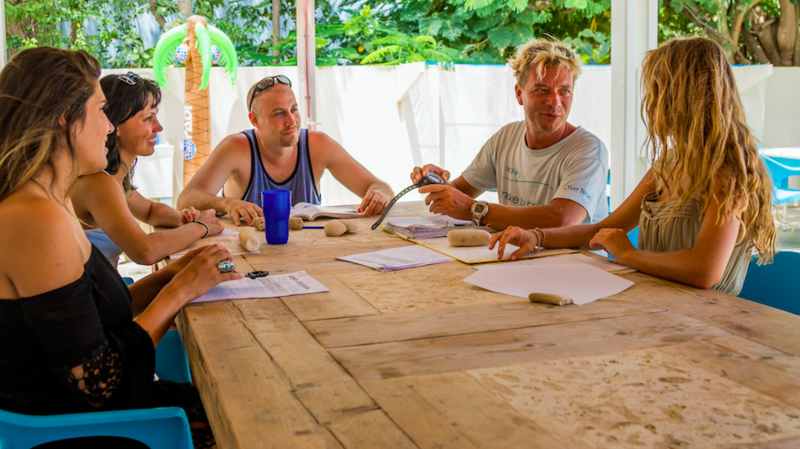 Take the complete course at one of the many dive center schools on Bonaire. This certification process usually takes 4 to 5 days, depending on the schedule and shop. Your instructor will provide you with study material and take you through the theory in small groups. This classical approach will give you a quick understanding of all required dive knowledge. You’ll probably need a couple of nights to learn and prepare for the final test. The dive school will schedule your confined dives either in a pool onsite or in the shallow waters right off shore. The advantage of a confined dive in the ocean is that you’ll more quickly feel at ease in your new and yet to be discovered environment. After your 4th open water dive you’ll be certified to start diving with friends or guides while you are still on your vacation. If you can’t wait to get started or you don’t want to spend your holiday studying, the PADI e-Learning program might be perfect for you. PADI offers a very comprehensive e-learning package that helps you through the required dive theory using interactive presentations such as video, audio, images and texts, accessible via the PADI website or app. Once on island, you’ll take a short test to prove that you actually have a full understanding of the theory. After that, you are ready to hit the water and practice your skills during the confined and open water dives. You’ll spend less time on Bonaire training and more time diving! The third option breaks the course down in two phases. You’ll do the theory and confined dives at a dive center in your hometown. 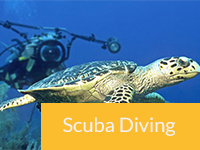 You’ll finish the course doing the required open water dives with a Bonaire dive school. 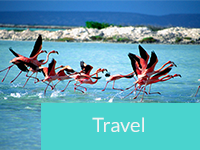 The main benefit is that you’ll get the theory and basic skills taught at home before your trip. 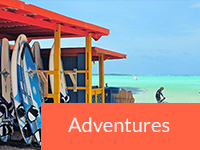 This will leave only the ‘fun part’ (the open water dives) for Bonaire — so you’ll have plenty of time to do more diving and relaxing. You might need some extra time to get used to being in the ocean, since most confined dives will probably take place in a pool at home. 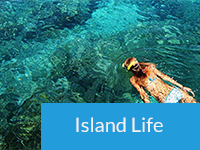 If you decide to go with this option, make sure that the local course dates and the open water dives on Bonaire are planned close together, so that the knowledge and skills are fresh when you finally get your fins into Bonaire’s famous marine park. 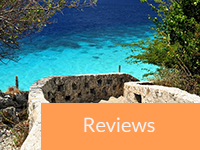 Ready to book your Bonaire trip and get your certification on? We can arrange any of the courses listed so you are scheduled to begin as soon as you are ready (usually the morning after arrival). Once you’ve completed your certification, you can arrange diving at any of the dive shops on the island. Or call us to discuss your Bonaire dive certification journey at 800-748-8733 (817-416-2580 outside USA).